The Wall Street Journal reports that the Japanese government is continuing to pursue its long-standing concern over reports of first-generation iPod nanos overheating, following up on a warning to consumers issued by the government nearly two years ago. The ministry is requesting Apple Japan to explain the cause of overheating, whether similar incidents have been reported domestically and abroad and what prevention and cautionary measures have been taken to counter such incidents, according to Seiji Shimagami, a ministry official who works in consumer product safety. The order came following an incident in Tokyo that took place on July 13, when sparks flew from a user's device while it was recharging, according to Masahiro Yamazaki, the head of the consumer product safety unit at METI. According to the report, the Japanese government agency responsible for overseeing trade issues has documented 27 instances of first-generation iPod nanos overheating while recharging, classifying those incidents as "fire-related". Six of those incidents have occurred since the 2008 warning was issued. 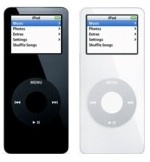 "iPods are incredibly well designed and safety is the highest priority for Apple. We are taking METI's letter in regard to the first generation iPod nano very seriously and are working closely with them to answer their concerns," Apple said in a statement. Similar concerns over the first-generation iPod nano have been expressed in South Korea, where some July 2009 reports claimed that Apple had issued a recall of the device, a fact that Apple denied, although it does continue to acknowledge the possibility of overheating in a support document and encourages concerned customers to contact the company.